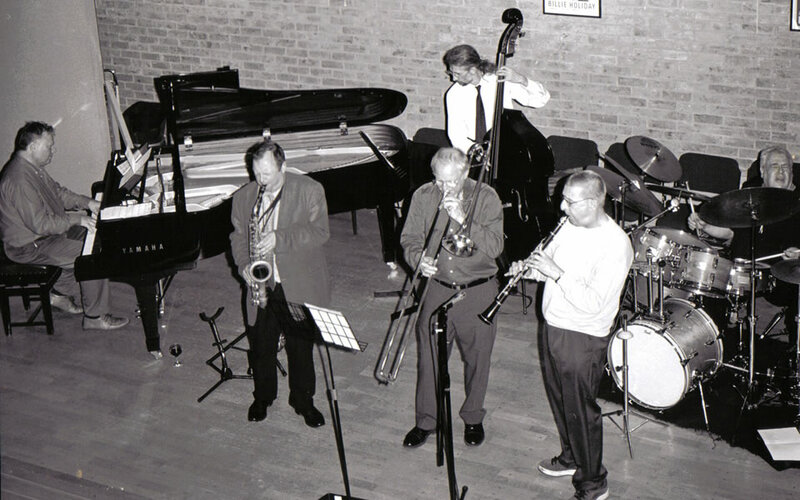 Alvin with the "Mainstream All Stars" in concert at the Jacqueline Du Pre theatre. Witney Jazz Festival with Scott Hamilton, Roy Williams and Mike Wills. 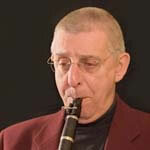 Alvin Roy has appeared on BBC TV and ITV together with reaching the top 20 with “True Blue” Alvin Roy – Now based in Oxford, has led a band since the days of the “Trad Boom”, in the early sixties. His band won the British Jazz Band Contest in 1960 and immediately turned professional and were billed as Britain’s youngest professional jazz band. 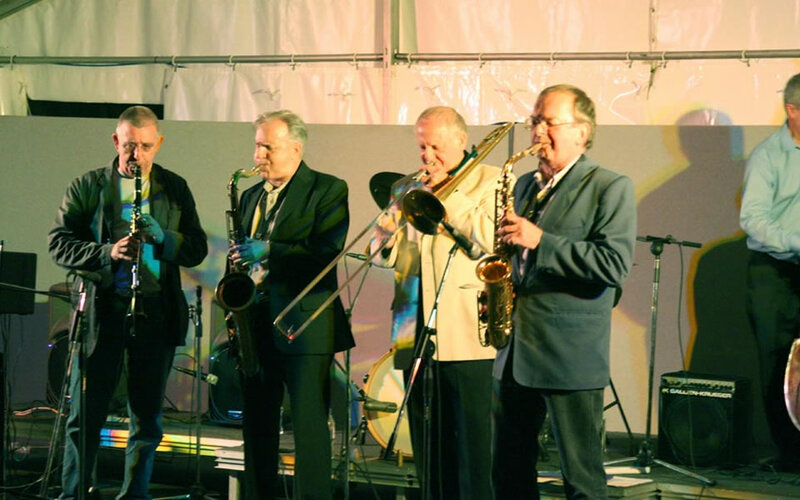 The Alvin Roy Jazz Band is available for hire for private functions such as weddings, private parties and anniversaries. Please click the play button below to hear a sample of Alvin playing. (Click on the image to find out more.) By clicking on an image you will be taken to an external website where you can purchase the music via cd.